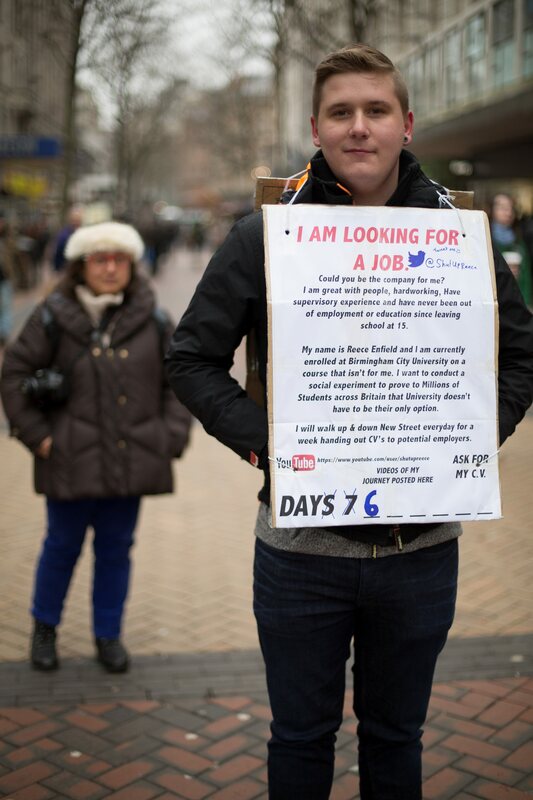 A disillusioned Birmingham City student who quit uni to get a job has taken to the streets wearing a sandwich-board begging for work. 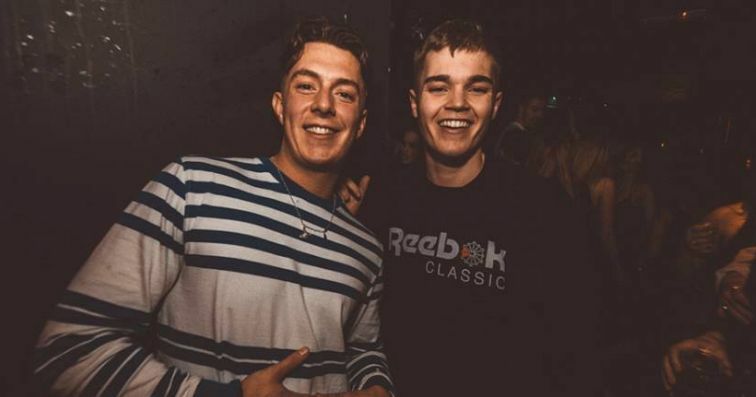 Reece Enfield, 22, decided to leave his Film Production course to prove to doubters he could start a career without a degree. 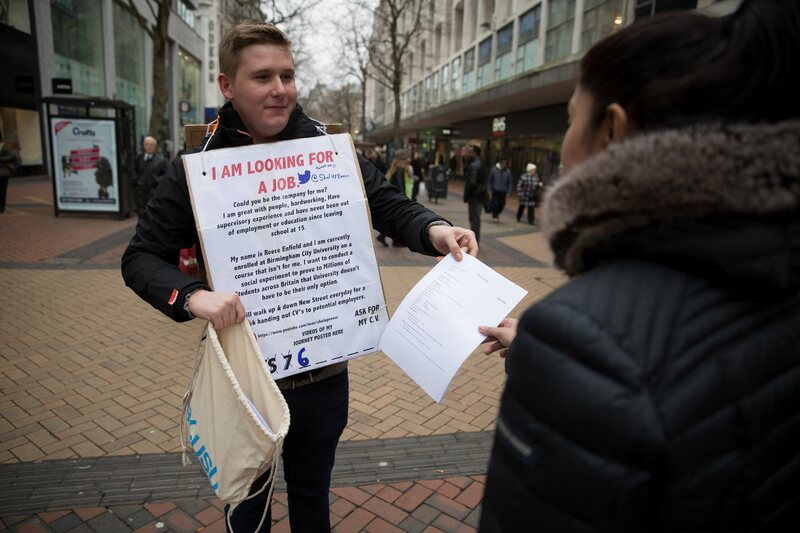 But after sending off over 50 CVs with no reply, the desperate job-hunter has resorted to drastic measures by wearing a sign advertising himself. 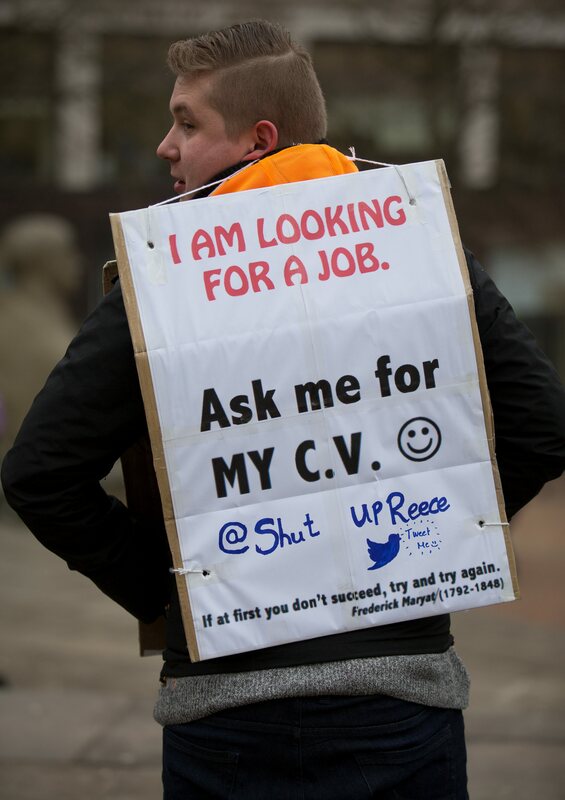 Dedicated Reece has been walking around Birmingham city centre with the the 2ft by 3ft placard emblazoned with his CV and personal statement since Monday. He hopes to land a top office job with his six GCSE A-C grades and a BTEC qualification in social science after ditching his Birmingham City course. 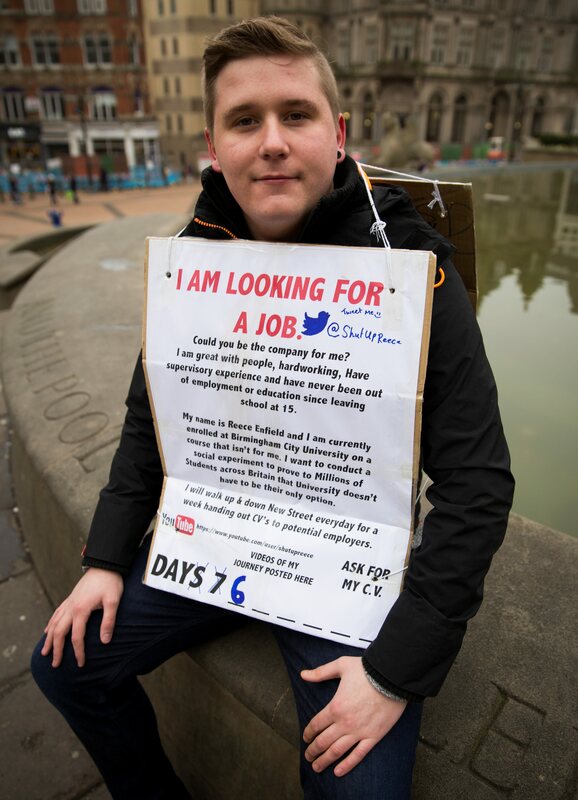 Reece, from Handworth Wood, Birmingham, said: “I’ve applied for more than 50 jobs since leaving my course. “You just don’t get a reply back, it’s so disposable. “This way I get to actually speak to potential employers and they can see what I am like. He added: “University isn’t the be all and end all. 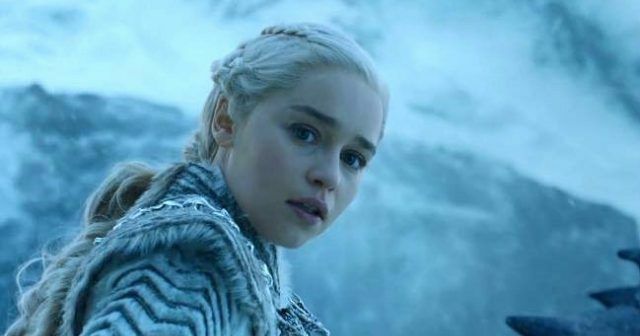 When you drop out it feels like there is no-one to speak to and that everyone is disappointed in you. 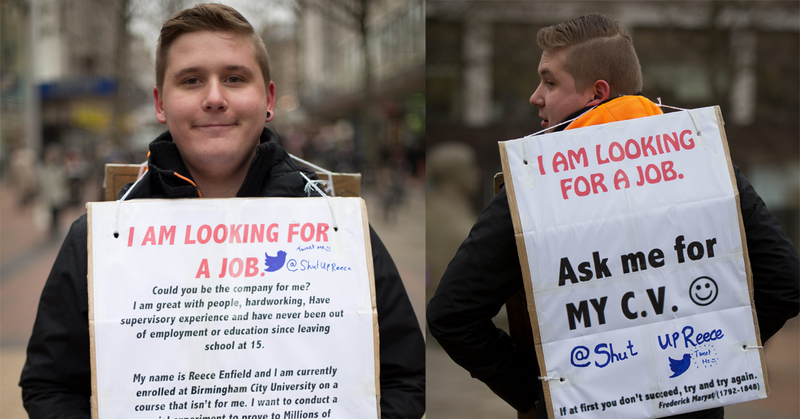 “I want to show them there are other ways of getting a job, other than going to university. Reece said his quit his degree course in his first year because it was too theory-based and lacked practical modules. 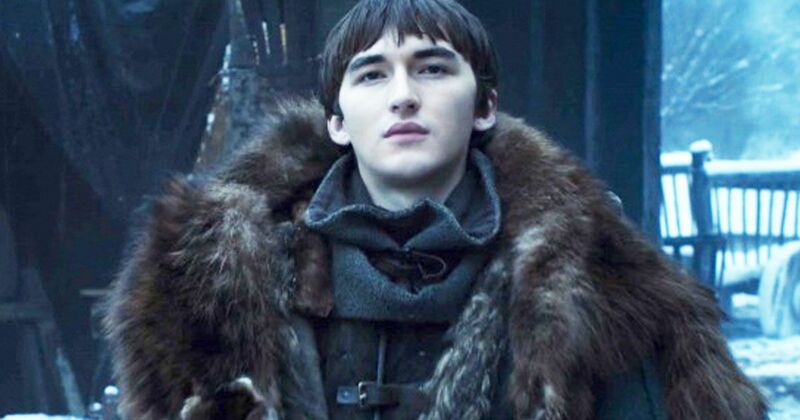 He says more than a dozen people have approached him to take a copy of his CV during his first two days on the campaign trail. 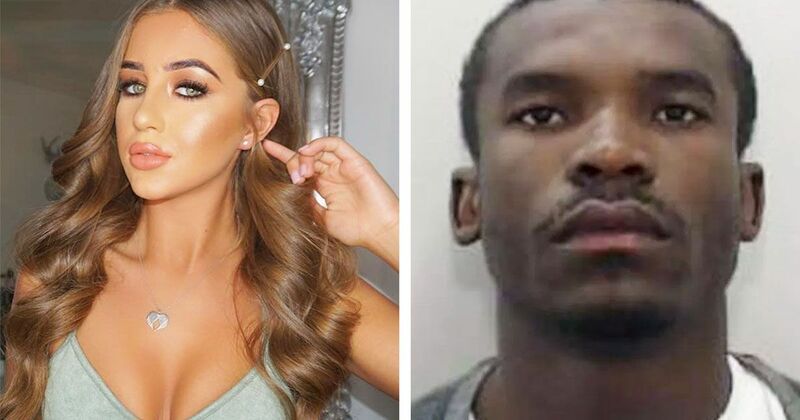 He currently has a part-time job as a rep at the Village Inn bar on the Birmingham City University campus, but wants to kick start a “proper career job”. Reece added: “I work at a bar at the moment but sometimes that can be 18 hours a week and sometimes there’s nothing to do. “I am sick of just having ‘a job’, I want ‘the job’ where I can stick at it and move up through a company. Reece will be walking up and down New Street with his homemade sign until Sunday. But he has vowed to return to the city’s busiest shopping street every day for the next month until the right job comes along. 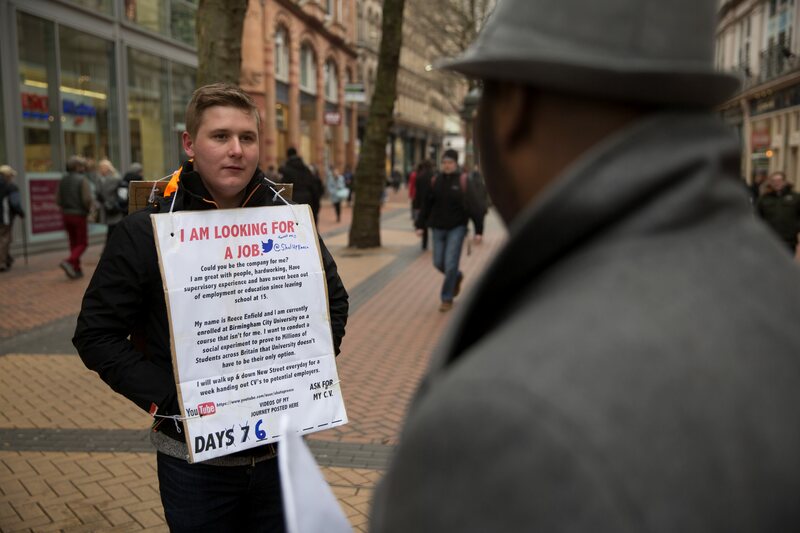 The sign reads: “I AM LOOKING FOR A JOB. Could you be the company for me? “I am great with people, hardworking, have supervisory experience and have never been out of employment or education since leaving school at 15. 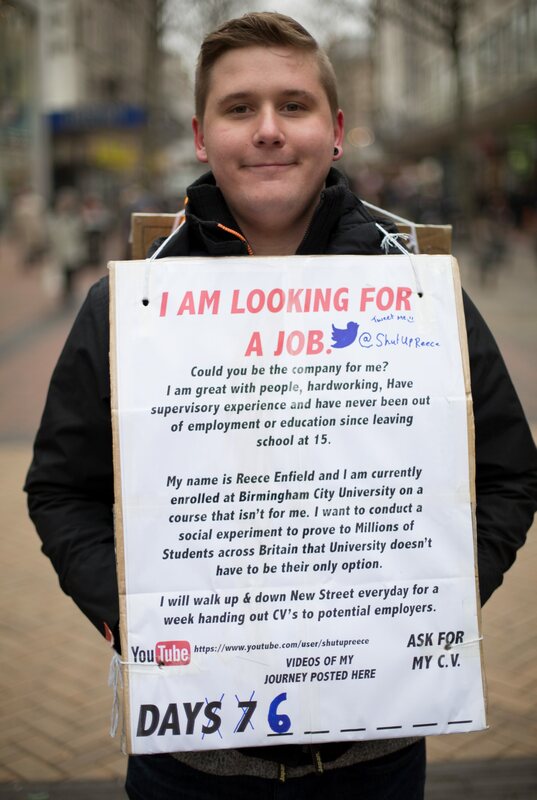 “My name is Reece Enfield and I am currently enrolled at Birmingham City University on a course that isn’t for me. 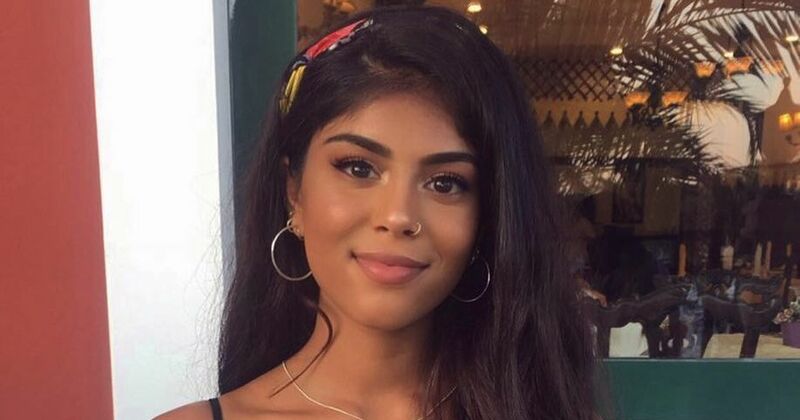 “I want to conduct a social experiment to prove to millions of students across Britain that University doesn’t have to be their only option.